NASA Mid Atlantic increases track time for HPDE Drivers!! In response to overwhelming feedback from our participants NASA Mid Atlantic offers even more of it’s award winning HPDE program to all HPDE Drivers. 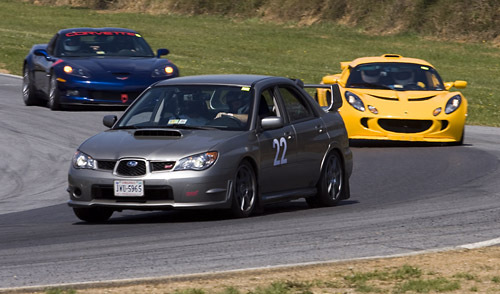 Starting March 22-23 at VIR NASA will increase the number of on track sessions each HPDE group receives from 3 to 4. More time. More opportunity to have more fun on track!!!! We know there are other events out there from which to choose so here are some VERY good reasons to choose NASA? SCHEDULED track time vs ACTUAL track time– It is a reality of our sport that a car may occasionally end up off the racing surface while a session is in progress. 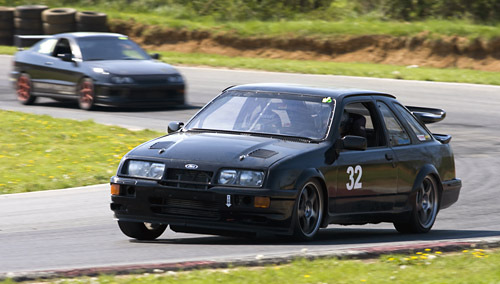 When this happens the industry norm is to stop the session, recall all cars to the paddock and dispatch the appropriate emergency vehicle team to recover the errant car. This procedure often results in the loss of a session for the group that was on track and its corresponding track time. It is common enough that one needs to consider the “scheduled” track time vs. the “actual” track time that an organization provides to know how much of it they will actually spend driving fast. While many other organizations find it acceptable to see the actual track time be 70%-80% of scheduled track time, we at NASA Mid Atlantic abhor the loss of track time and have created a multi-level system designed to keep actual track time consistently within a small percentage of scheduled track time. The following is how we do it…. 1) Hot Pulls– NASA Mid Atlantic is unique in that it hosts wheel to wheel full tilt boogie racing on the same weekends as its HPDE. Not only is our incident response team built for full racing situations but we carry double the staff compared to nearly every other organization. Even better, our highly trained Incident Response Team (IRT) conducts “hot pulls”. A “hot pull” occurs when an errant car is recovered without having to recall the entire group into the paddock. NASA Mid Atlantic Race Control creates a “yellow zone” surrounding the incident in which drivers may not pass and must reduce speeds dramatically. Once out of the “yellow zone”, however the drivers enjoy a “green” track until they return again to the “yellow zone” on subsequent lap. Then once the errant car has been removed, the “yellow zone” returns to “green” and drivers enjoy the entirety of track under “green” conditions. While drivers have to sacrifice some speed in these occasional temporary “yellow zones” for safety reasons, it is our belief that drivers prefer this scenario to sacrificing the entire session – so we do hot pulls as often as possible. 2) Two Ambulances– To save money, most organizations will reserve only ONE ambulance for their track events. NASA Mid Atlantic reserves TWO Advanced Life Support ambulances for all race/HPDE weekends. Why? It is a rule of all tracks that, in the event that a person needs to be transported to a medical facility, all on-track activities must cease until the ambulance returns to the track, UNLESS… there is a second ambulance present. It is rare that serious injury occurs at these types of events; however, precautionary transports are not at all uncommon and when they do happen, NON-NASA organizations must shut the track down for up to several hours, losing much “hot” track time. NASA Mid Atlantic reserves a second ambulance which affords our participants an even greater level of emergency care and allows the event schedule to continue without delay should a transport be necessary. 3) Roll on, Roll off– If one looks at a NASA Mid Atlantic daily session schedule, one will notice that there are no time buffers between sessions. We hate wasting track time so we created a system that allows two groups to be on the track at the same time. As the last car of a group finishes its session, NASA Mid Atlantic Race Control releases a pace car, leading the next group out onto the track. The departing group cools down as the incoming group warms up. This maximizes track time in a highly safe and efficient manner. When you are choosing which events to attend this season, please consider all that NASA Mid Atlantic does to ensure that you have a very fun weekend and get all the track time you paid for, as safely and efficiently as possible! **4 sessions per day will occur for all NASA MA events except Hyperfest.